Trendy leather jackets are results of true artisanship and blending of style. The variety is quite broad when we talk about leather bombers. Leather bombers have attained ultimate popularity all across the globe and today, these are not only limited to men, as women too can sport these stylish jackets. In fact, leather bombers have become a fashion treat to all the modern women today. You can find various leather bombers in the market today. The rugged essence of these jackets is unmatchable. A woman can pair up these versatile jackets with nice shorts, denims, leggings, dresses, etc. Double-breasted Style: It is an extremely desired style of bomber. Line of buttons placed in a parallel way with an intersected front makes this leather jacket chic and trendy. 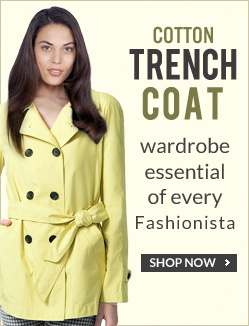 These types of jackets are vogue and best for women who are keen to try out eccentric styles. Cropped Style: Cropped bomber is an extremely stylish and fashionable jacket. In fact, they are widely popular among the youth these days. Cropped styles usually come with a hemline. These look very chic if paired with hot leather pants or skinny pants. These will certainly help you to strike your own fashion statement. Rugged Style: An archetypal rugged style bomber is sure to uplift your style quotient. These leather bombers with hem and ribbed cuffs are extremely chic as well as instill a youthful to the women. Further, band collars act as cherry on the cake here. In fact, these look stylish on women. In addition, rugged bomber with front zipper and crinkled texture if paired up with nice denims can surely add charm to your persona. Hooded Style: This type of bomber gives a smart look to the wearer. Here, it is not necessary stick with the black color only, as you get other color choices too such as blue or red that might work great for your body. Military Style: These are great head turners. You can pair this bomber with a wonderful floral theme dress to sway in style. These jackets offer a rugged appeal and women who prefer a rugged look without any doubt must try this bomber. Epaulettes: A bomber with epaulettes on shoulder appears extremely chic. With a sporty look, bombers are sure to offer a distinct look. Ribbed Cuffs: These cuffs are usually made of ridged fabric. They appear very trendy and are apt for all those fashion conscious women, who prefer very youthful and trendy outfits. Notch Collar: Notch collar indeed provides a classy look to the jacket. The wing shaped collar is best for both formal and casual wear making your appearance more versatile.